Home Again: Post Christmas Syndrome! and in no time had they gobbled down their food. When are we opening the presents? How many minutes did they sit at the table? To enjoy the beauty of their own table scape. This year we played the Surprise Game! A gift is tightly wrapped. A costume of a hat, robe and mittens must be worn. to put on the garb and try to open the gift. Well, they All got into this, young and old. And you did notice the competitive rivalries between the siblings. strewn all over the floor just to get a gift certificate to TIMMY'S! And yes, they were finally occupied. It's written on his face. but the toilet bowl did. For the record...we do not have a bidet. But that's been our Christmas for another year. He finally fell asleep just before midnight. And the whole house was still. And we smiled with content. We all survived Christmas once again. Marg, I laughed to myself when I set the table a day in advance this year. .I've officially become like my mom. I never got why she did that ahead. oh your pictures of your little ones are precious. So with you about doing whatever things can be, ahead of time That way I can be freed to spend more time with the guests! Lovely party! I also set my table the day before. That way I can take my time and not feel so stressed with last minute things to do. It seems like the pre-Christmas things to do are much more time consuming than the parties themselves! So why do we do it? Maybe because it sets a festive atmosphere that carries us through all the clutter and chaos of hosting a lot of people. My house is completely messy now-but we had a lot of fun! Ha! Yes...set that table early and enjoy! Looks like lots of fun times at your house Marg! I keep my dining table set all year; I've discovered it looks great (especially with Christmas dishes) but more importantly it keeps us from dumping papers and stuff that we will get to "later". The "later" pile would bury the table and made me shy away from inviting guests due to the time it took to deal with it. PS: Did you use a leaf blower to clean up after the game? One of our local writers with lots of family says that is their way of doing it. 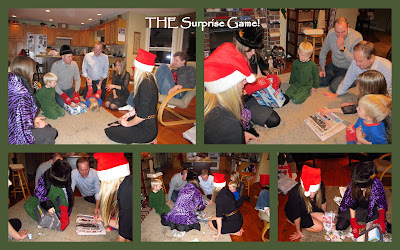 What a fun day - so neat to see your family all trying to open that gift. 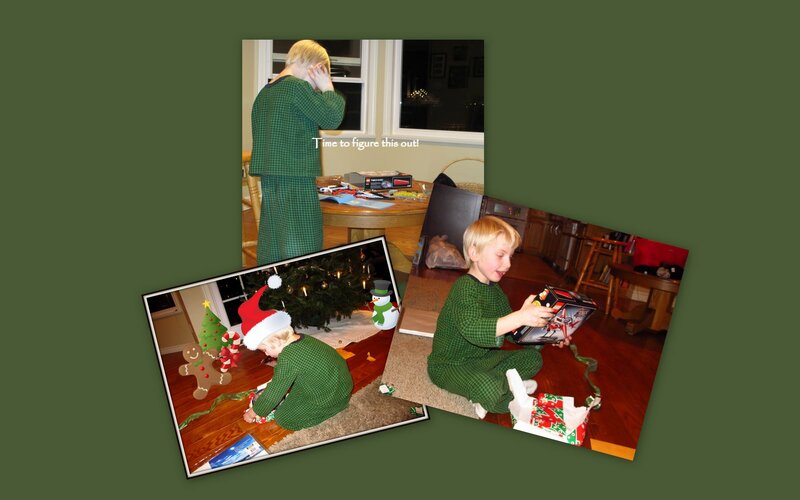 We may have to try that ourselves when we open gifts on NY Day. 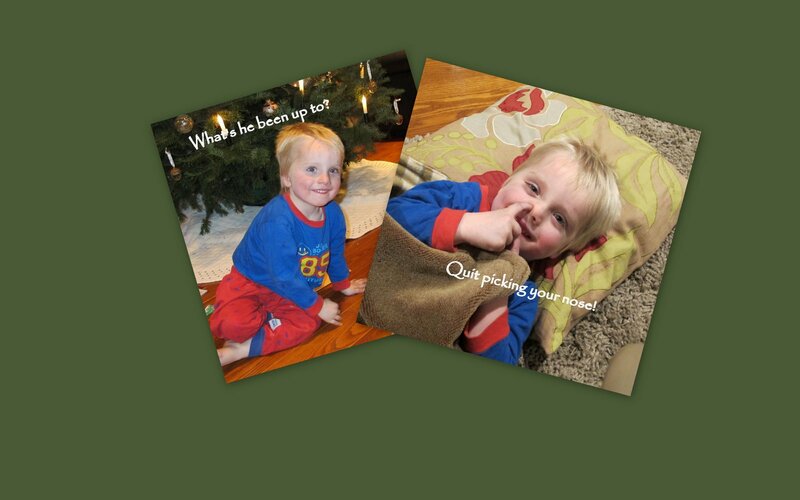 Aww, I love that last picture. Your game sounds like lots of fun. I might just adopt that next year. Thank you Marg for sharing your family's Christmas celebrations. Wonderful photos, love 'em! I may just set the table in advance next year.....I didn't even get a snap of it this year! With two little fellows at table things were lively, but I wouldn't have it any other way. Family, food, fun - that's what getting together is all about.